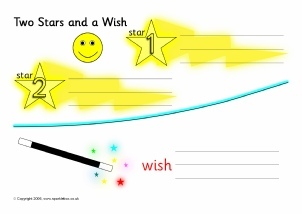 A colour and black & white version of a ‘Two Stars and a Wish’ sheet where children can review their work and write two ‘star’ elements and a ‘wish’ for future work. 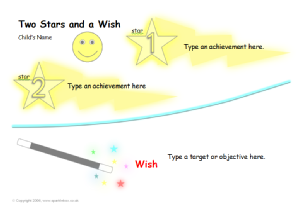 Editable ‘Two Stars and a Wish’ target sheets where you can type in pupils’ achievements and future goals. 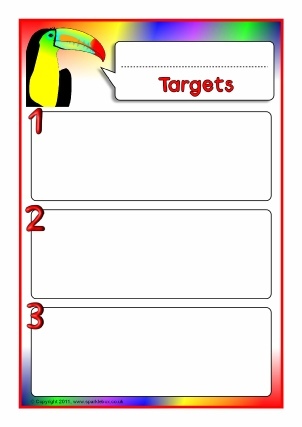 Editable templates that can be used as pupil target sheets. Space to enter text on plant leaves and also the flower head. 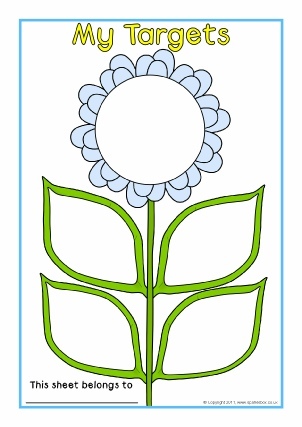 Alternatively, the flower head could be left blank for a sticker when the leaf targets are accomplished. A set of colour and black and white pupil target and achievement sheets for each of the four capacities of the Scottish Curriculum for Excellence. A set of editable pupil target and achievement sheets for each of the four capacities of the Scottish Curriculum for Excellence. In colour and black and white. This set of target sheets has a football theme that will really excite your class! Includes an individual pupil target sheet together with larger class targets for display. 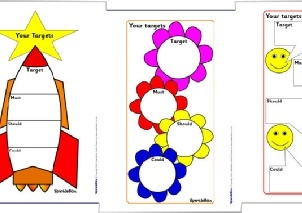 Editable colour target sheets with rocket, flowers or smiley themes. Add your target as well as must, should and could objectives. 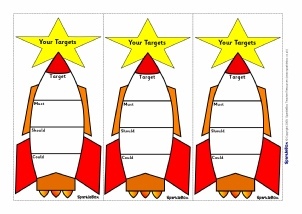 A set of editable colour target sheets to give to pupils. Includes space for the main targets and ‘must’, ‘should’ and ‘could’ objectives. 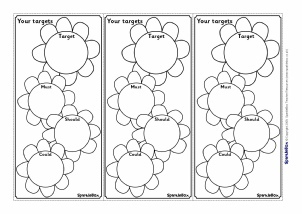 A set of editable black and white target sheets to give to pupils. Includes space for the main targets and ‘must’, ‘should’ and ‘could’ objectives. A printable banner for your classroom target board. 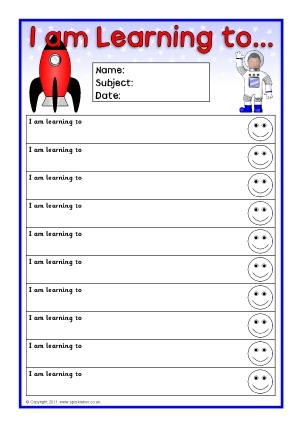 A set of editable target strips with the title, ‘My learning goal is...’ and space to type individual pupils’ targets. Great as handy desktop reminders for children. 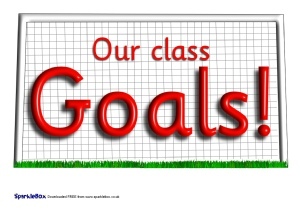 A set of editable target strips with the title, ‘My learning goals iare..’ and space to type individual pupils’ targets. Great as handy desktop reminders for children. 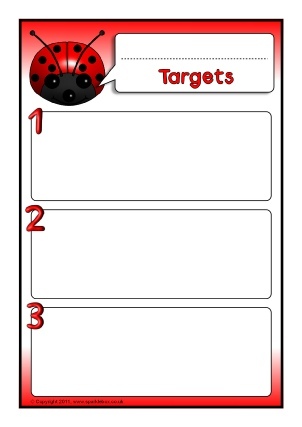 A set of minibeast-themed editable pupil target sheets. Customise with pupil’s name and space to type 3 targets. 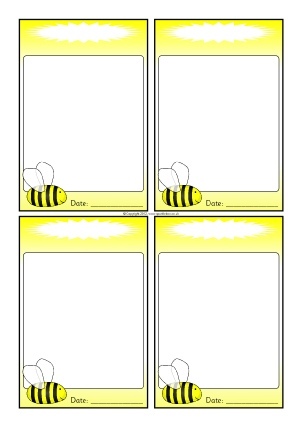 A set of editable communication slips with a variety of themes. Edit the titles and text to suit your needs. Great for sending messages or activities home with children, for writing pupil targets, notes to parents and many other uses. 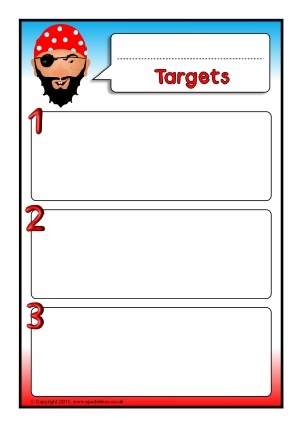 A set of pirate-themed editable pupil target sheets. Customise with pupil’s name and space to type 3 targets. A set of 2D shapes-themed editable pupil target sheets. Customise with pupil’s name and space to type 3 targets. 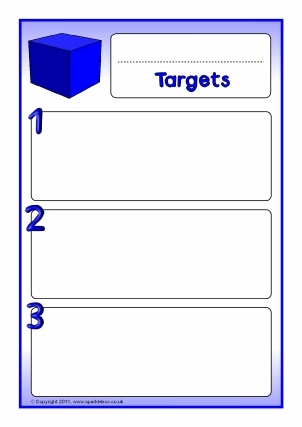 A set of 3D shapes-themed editable pupil target sheets. Customise with pupil’s name and space to type 3 targets. 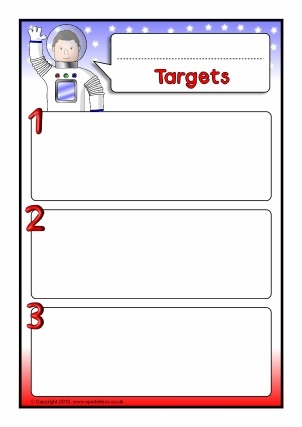 A set of space-themed editable pupil target sheets. Customise with pupil’s name and space to type 3 targets. 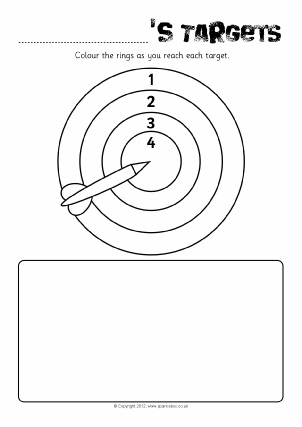 A set of jungle animal-themed editable pupil target sheets. Customise with pupil’s name and space to type 3 targets. A set of superhero-themed editable pupil target sheets. Customise with pupil’s name and space to type 3 targets. 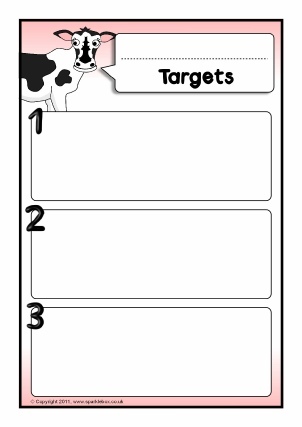 A set of farm animal-themed editable pupil target sheets. Customise with pupil’s name and space to type 3 targets. 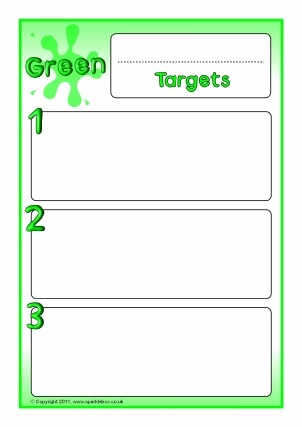 A set of farm colour-themed editable pupil target sheets. Customise with pupil’s name and space to type 3 targets. A set of dinosaur-themed editable pupil target sheets. Customise with pupil’s name and space to type 3 targets. 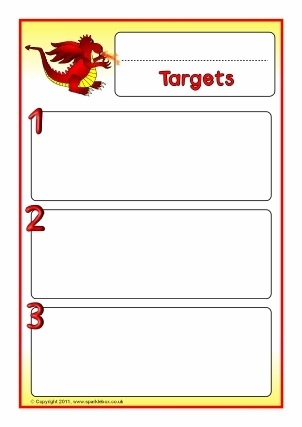 A set of dragon-themed editable pupil target sheets. Customise with pupil’s name and space to type 3 targets. A set of zoo animal-themed editable pupil target sheets. Customise with pupil’s name and space to type 3 targets. A set of sea life-themed editable pupil target sheets. Customise with pupil’s name and space to type 3 targets. 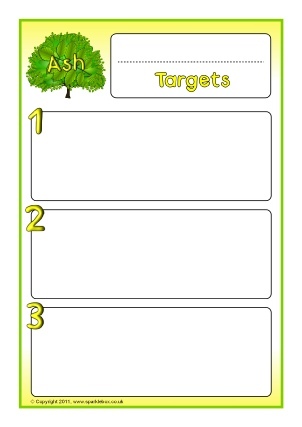 A set of trees-themed editable pupil target sheets. Customise with pupil’s name and space to type 3 targets. 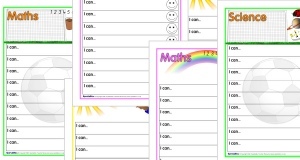 A set of themed editable target sheets with the text ‘I am learning to...’. Each sheet has space for 10 different targets. Microsoft Word is required to add your own text. 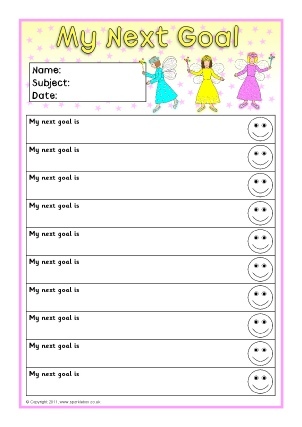 A set of themed editable target sheets with the text ‘My next goal is...’. Each sheet has space for 10 different targets. Microsoft Word is required to add your own text. 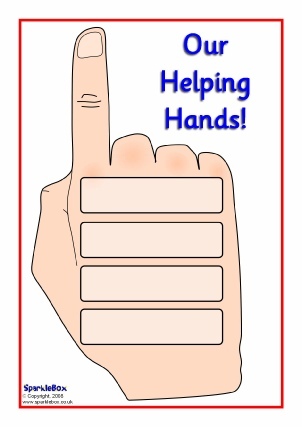 A set of editable ‘helping hand’ templates for Microsoft Word. Each hand has space to add up to 4 targets. Includes A4 posters for display, as well as smaller hands that can be printed on card and cut out for each child to use. 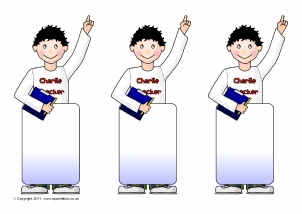 A set of editable posters and prompt cards featuring a character called ‘Charlie Checker’. 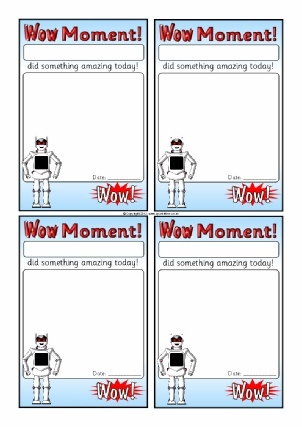 Use these to remind children to check their work. 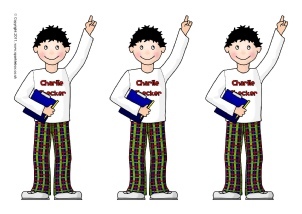 Print and laminate these ‘Charlie Checker’ pointers to motivate and encourage children to check their work. 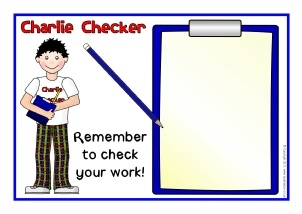 Print and laminate these ‘Charlie Checker’ pointers to motivate and encourage children to check their work. 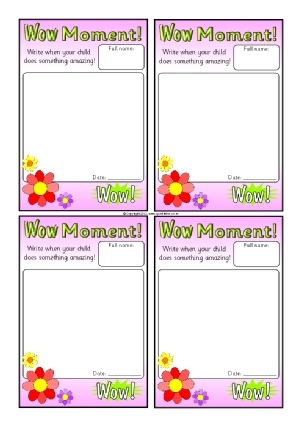 These are editable and include space to add your own targets or specific reminders for pupils. Send these colourful slips home for parents/guardians to complete throughout the year to celebrate their child’s special achievements. Slips could be collected together and kept as part of a ‘learning journey’ record book. 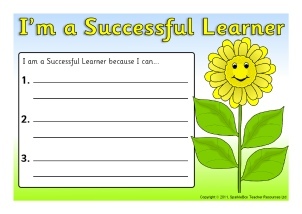 Send these colourful slips home as a great way to inform parents of their child’s successes and celebrate special achievements whilst at school. A colourful banner for your ‘Smarty Pants’ classroom achievement display board. 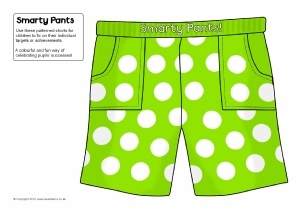 A set of colourful patterned shorts that can be cut-out and laminated to attach individual child’s targets and achievements. 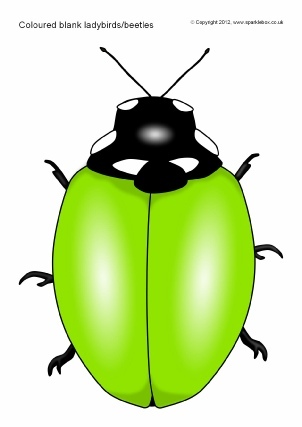 A set of A4-sized blank (no spots) ladybirds/beetles in a variety of colours. Great for all sorts of uses: maths counter games, symmetry activities, pupil sticker (spots) reward cards, colour recognition and more! 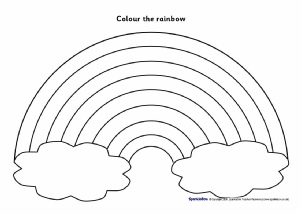 Two printable sheets with blank rainbows for children to colour. Great for a variety of uses! Could be used as target sheets (targets written on each rainbow colour), or as an independent colouring activity linked to Noah’s Ark or a topic on colour or weather. 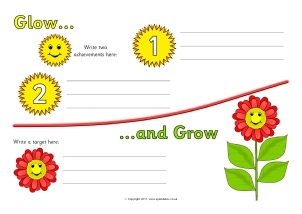 Colour and black and white 'Glow and Grow' sheets where children can review their work and write two achievements (glow) by the suns and a target for future work (grow) by the flower. 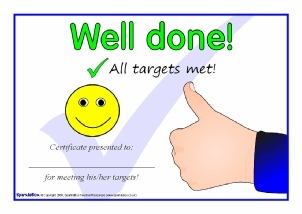 A set of certificates that can be presented to pupils for meeting their targets. 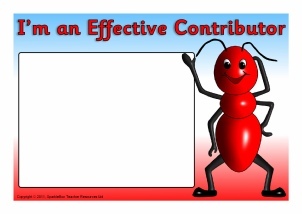 Ideal for behaviour targets, but could be used for any subject.